The Falklands/Malvinas war was a conflict fought as much, if not more, at sea as on land. A majority of the casualties on both sides came from attacks on shipping, especially if we include the British losses from landing craft at Bluff Cove. Five larger ships were also sunk, including HMS Sheffield and the Atlantic Conveyer. For the Argentines, almost half their dead came from one incident: the controversial sinking of the General Belgrano. But it was largely thanks to the loss of the Belgrano that there were no naval battles in the strict sense, that is, no ship-to-ship conflict. All the British ships were hit by shore-based aircraft; the Belgrano itself was torpedoed by a submarine. And in response to the cruiser’s destruction, the Argentine fleet was recalled to base for the duration of the conflict. With one exception. From May 2 to May 17, 1982, the submarine ARA San Luis was the sole representative of the Argentine navy in active operation. It is this ship’s story that is the subject of Patricia Ratto’s Trasfondo. The novel is essentially a ghost story. For a submarine is always in some sense a spectral presence: largely invisible, hard to locate, registered only by faint echoes, yet the source of intense anxiety and fear. A submarine is a fantasmatic object par excellence. 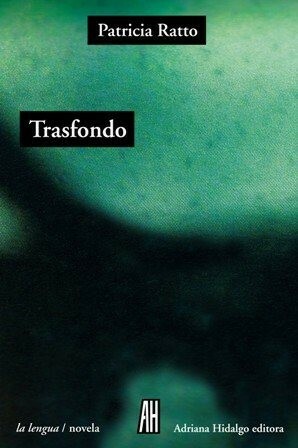 Yet Trasfondo shows that from the perspective of the submarine and its crew, the ships on the surface and even the war as a whole were equally ghostly and unknowable. Down below–and the San Luis was almost permanently submerged–neither sea nor sky could be glimpsed; the enemy could be discerned only through careful attention to faint traces on the Sonar. The few times that the vessel surfaced, it found only gloom and fog. On the whole it was out of range of any communication or maintained radio silence. As Martín Kohan notes, its crew were at the center of the action, but in some ways were further removed from the war than anyone. On board, time becomes elastic and the combination of boredom and tension plays strange tricks on the mind. The crew are soon lost in “a labyrinth of echoes and rumours, as they wait for what the sea may bring them” (72). Small details become both comfort and distraction: a jar of capers that rolls around the boat; the narrator’s boots that seem to have a life of their own. Some draw, some read, others play cards to pass the time. It’s better to be doing something, no matter how futile. Most of the men put on their lifejackets as the enemy approaches (the youngest crewmember never takes his off), but they know that this will do them little good in the event of disaster. For if they are hit, “There won’t be time for anything, no time to call out, no time to escape, no time to hear, no time to see, the blood will stain the water with a thunderous red that bit by bit will be diluted until it is just water again” (79). Often enough it seems as though this doomed mission is already at an end: “Perhaps we are all dead already, one coffin piled up on another, but we simply haven’t noticed yet. Can one really die and not know it?” (71). At the core of the book is the question of the relationship between knowledge and death: the knowledge of death, but also the knowledge that death either enables or obscures. Ratto reports that she was inspired by Giorgio Agamben’s observation about the Nazi concentration camps, that the only “comprehensive witness, who has experience of it all [. . .] would be the one who dies in the camp and so, paradoxically, the one deprived of a voice with which to testify. Meanwhile, those who survive have the voice to tell of what happened, but their experience is partial, incomplete. What we have, then, is always a lacuna, a grey zone that is impenetrable, inaccessible, without a voice to narrate it.” In Trasfondo, Patricia tries to give voice to this dead zone at the heart of any tragedy, any war, only to find that it is less the place of clarity and understanding than a new depth of epistemic murk where even the border between life and death itself becomes unstable, uncertain.